Massage Therapy is one of the oldest healing arts; it has been practiced for thousands of years to promote healing, relaxation, and overall well-being. The benefits of massage therapy have proven beneficial for many chronic conditions including: low back pain, arthritis, fatigue, high blood pressure, diabetes, depression, and more. Our licensed massage therapist specializes in Swedish massage, deep tissue, trigger point , myofascial release, hyrdo therapies, PNF stretching, Aromatherapy, and Reiki healing. If you are looking to relieve pain, lower blood pressure, increase circulation or are looking for a relaxing experience contact us for additional information and appointment times. Although scientific research on massage therapy is limited there is evidence that massage may benefit some patients. Conclusions generally cannot yet be drawn about its effectiveness for specific health conditions. Massage has many health benefits. Improve your circulation, reduce blood pressure, and get better sleep. Book your massage today! The best way to combat pain is to stretch and keep muscle tissues healthy. It is good for you to do home care. Taking up beginners yoga is a great way to achieve your pain control and health goals. Help athletes of any level prepare for, and recover from strenuous workouts. 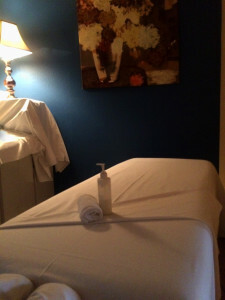 Massage, bodywork and somatic therapies are defined as the application of various techniques to the muscular structure and soft tissues of the human body. 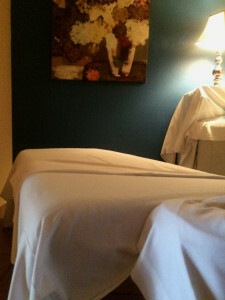 Massage is the application of soft-tissue manipulation techniques to the body, intended to reduce stress and fatigue while improving circulation. Bodywork uses various forms of touch therapies such as manipulation, movement, and/or re-patterning to affect structural changes to the body. Somatic, meaning “the body,” is used to denote a body/mind or whole body approach distinguished from a physiology-only perspective. There are over 250 variations of massage, bodywork, and somatic therapies and many therapists use multiple techniques. These all involve pressing, rubbing, or manipulating muscles and other soft tissues with hands and fingers. Sometimes, even forearms, elbows, or feet are used. This may include non-forceful passive or active movement and application of techniques intended to affect the energetic systems of the body.